By Melissa Lennig on August 16, 2013 3 Comments. This content contains affiliate links. As an Amazon Associate I earn from qualifying purchases. This summer, the boys and I enjoyed a nice visit with my parents. My mom has a beautiful garden in her backyard, complete with a little pond that is simply perfect for floating Origami Boats. Origami, or Japanese Paper Folding, is a random skill that I acquired in elementary school. I never would have guessed that it would be a handy talent to have as a Mom, but it is. Stuck in the waiting room at the doctor’s office with your kiddo? Entertain him by folding a paper crane (with wings that actually flap) out of a crumpled receipt from your purse! Forget to bring crayons to the restaurant? Fold a napkin into a flower! My boys think it is magic. 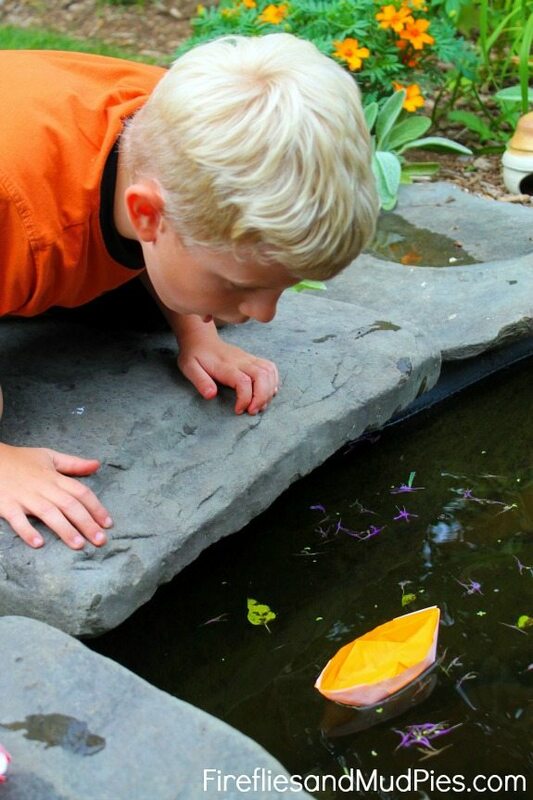 Origami Boats are a good beginner project and fun to make because they actually float! My boys followed along as I created my own paper boat. I helped them make firm creases and line up the corners of their paper accurately. When the boats were finished, we took them outside to play! Gently blowing on them was the best way to move them through the water. 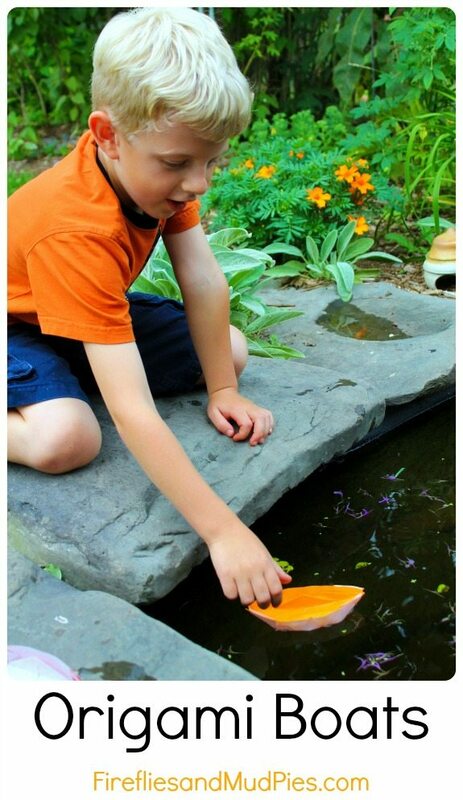 To learn how to make an Origami Boat, click HERE for visual instructions, or browse through the resources listed below. 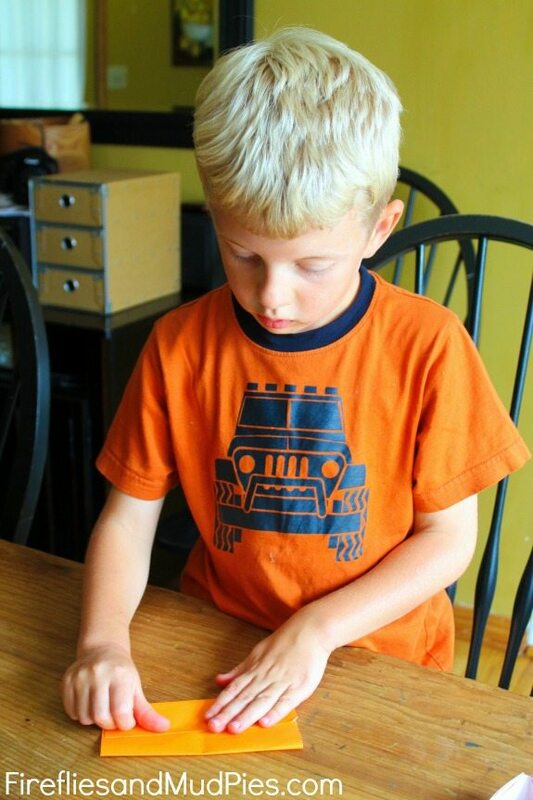 I can’t wait to teach the boys more Origami, as it is a very relaxing and quiet activity! 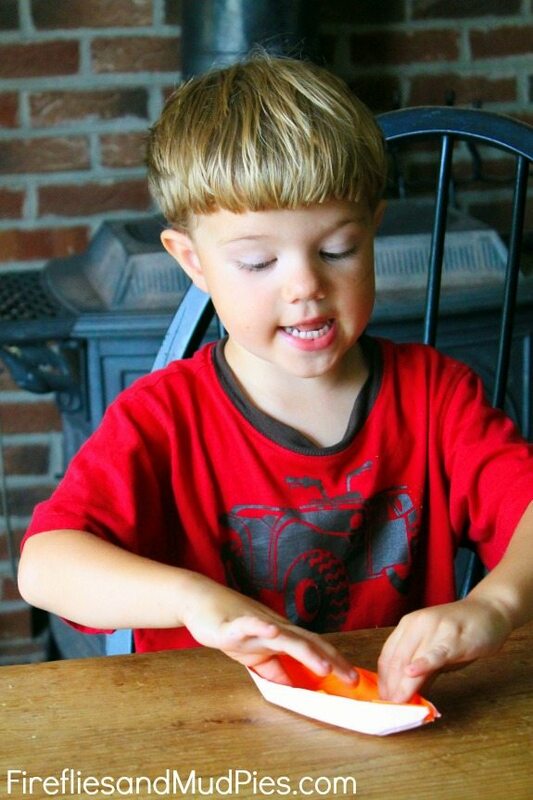 Oragami originally originated over orange oriental oceans!